Customized online catalogs to celebrate employees work/life achievements including anniversaries, promotions, birthdays and graduations. 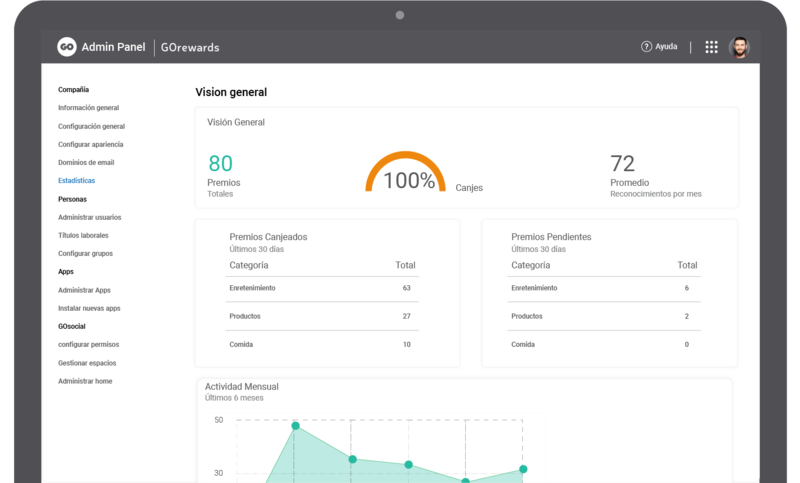 How can GOrewards help you? 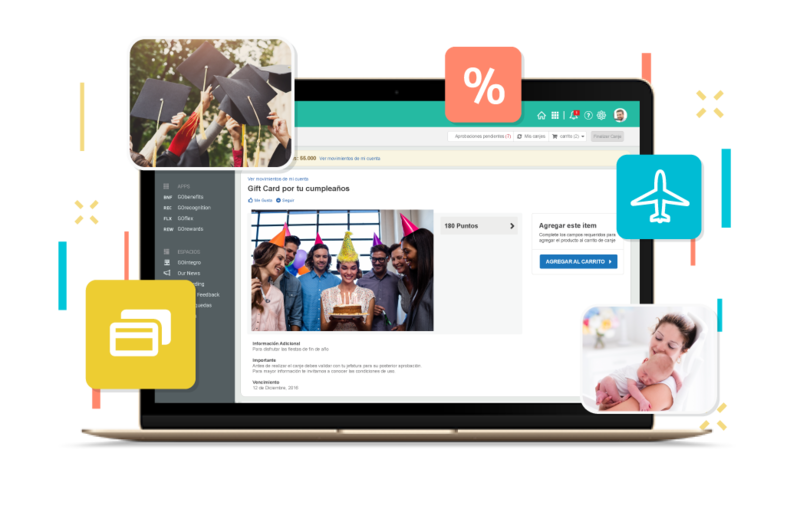 A digital experience to reward anniversaries, promotions, trainment fulfillment, community work and other work related events. 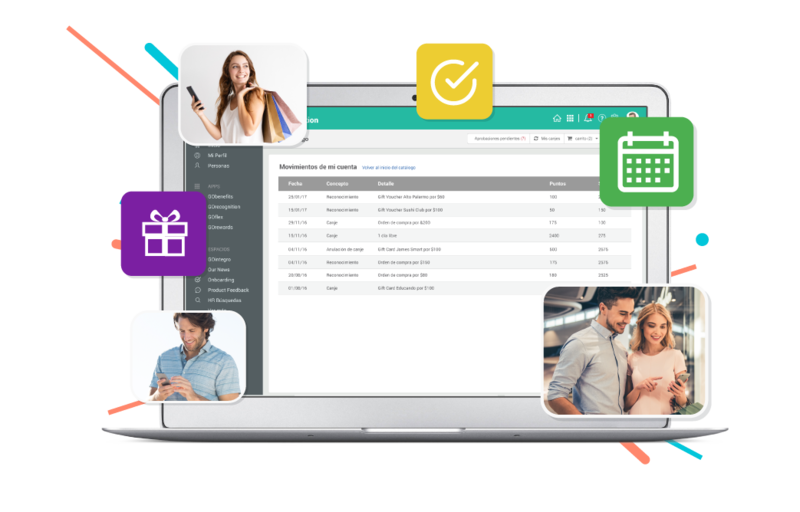 Improves the employee experience through a customizable catalog with prizes that can include free time, products, purchase orders, experiences and more, according to the requirements and available budget. 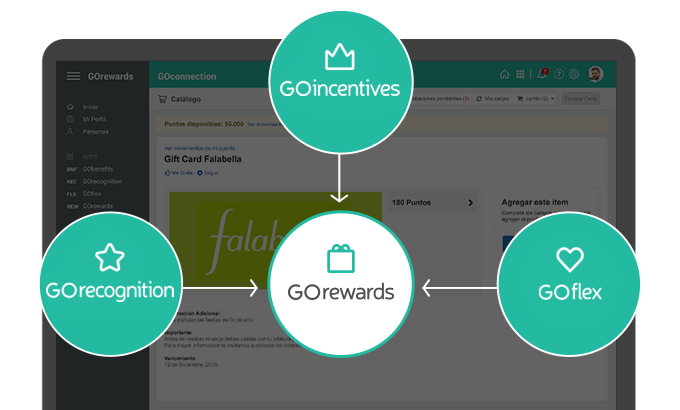 GOrewards integrates with GOrecognition, GOflex and GOincentives to facilitate the dissemination and enhance use, without the need to develop complicated integrations. 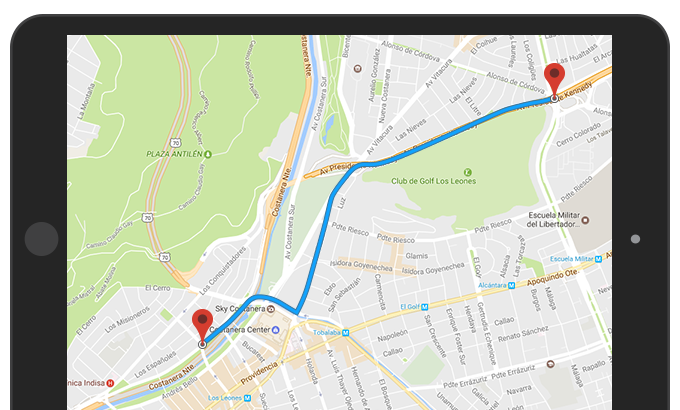 The product allows you to configure multiple delivery addresses, developing comprehensive logistics both nationally and throughout Latin America. The periodic reports allow us to know the exchanged and pending prizes, among other statistics, thus facilitating the management of the prizes budget and ensuring an adequate service. Automating all the prize selection and delivery processes in order to improve the employee experience. Facilitating the process of personalized awards linked to different Human Resources initiatives. Setting up a mix of prizes according to the available budget and employees interests. Freeing time and delivering information for a better optimization and impact analytics of the rewards.